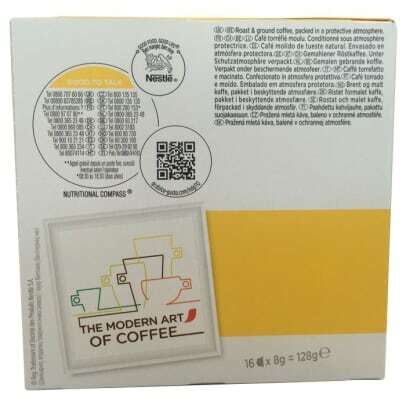 Enjoy this large cup of delightful morning coffee made from 100% gentle roasted Arabica beans. 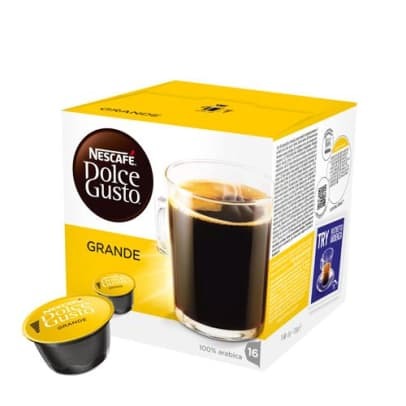 Nescafé Dolce Gusto Grande has lovely notes of fruits, which gives you a soft aromatic coffee you can enjoy every day. 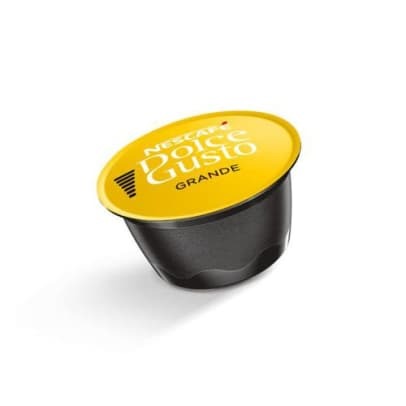 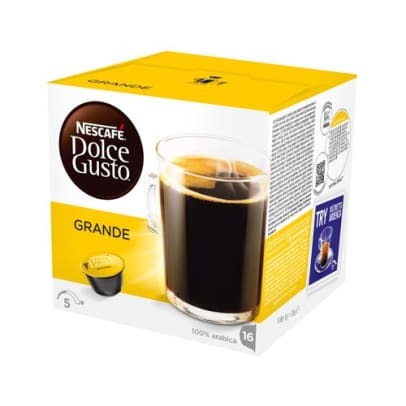 Dolce Gusto Grande gives a smooth layer of crema and can be taken with or without milk.